Short Information: The Nainital Bank Limited Uttrakhand Are Recently Uploaded Result for The Post of Clerk (Clerical Staff) in Various Branch in Nainital Bank in India Examination 2017. 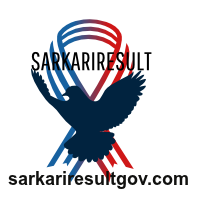 Those Candidates are Registered to the Following Vacancy and Have All Eligibility Criteria Can Read the Full Notification and Download Result. Pay the Examination Fee Through Debit Card / Credit Card / Net Banking / Cash Card / Mobile Wallet Fee Mode.